the Geek entry number 8! 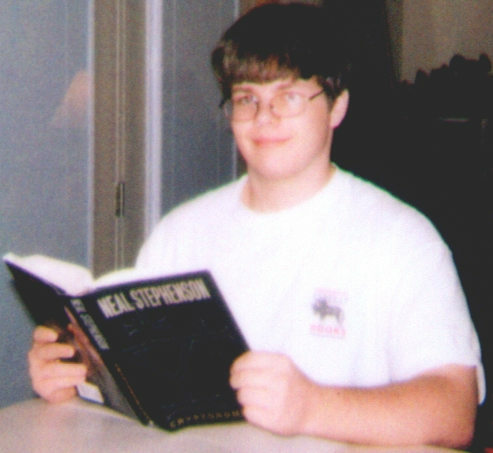 I've always been kind of a bookworm, so it's not surprising that when my folks took my picture, I was reading a copy of Neal Stephenson's Cryptonomicon. When I saw the contest page, this picture immediately came to mind. And, yes, that's an O'Reilly t-shirt I'm wearing.